Mum's the word - but could Jelena Ostapenko stop Serena Williams winning the title? "At [6.0] in the market to be the Wimbledon Winner she represents outstanding value if you want to avoid the safe bet of backing Serena Williams who is [2.06] favourite." In the middle of a World Cup, and with the sun shining on our hottest summer since forever, you probably don't need to be reminded that the producers are busily sounding out potential celebrities for this winter's Strictly Come Dancing. Coleen Rooney and - ludicrously - Piers Morgan are among the names being gossiped about as potential contestants when the series starts in September. And Dan Walker, the BBC man fronting much of the World Cup coverage from Russia, is also being linked with the gig after Anton du Beke revealed that his Tango is "coming on nicely". Most of that can, thankfully, stay far away from the sports pages but you might just be in for a rush of Strictly headlines this weekend if Jelena Ostapenko continues her brilliant Wimbledon form. The 21-year-old Latvian, French Open champion in 2016, has sashayed her way into the semi-final without dropping a set and she says it's thanks largely to reviving her childhood interest in ballroom dancing. The National Latvian Champion before she gave up the glitterball aged 12 to concentrate on her tennis, Ostapenko has returned to the ballroom for fun in the last year with unexpected spin-offs for her day job. "It's an amazing work-out," says her coach David Taylor of the 21-year-old's passion for putting on all the glitter and high-heels. "And it has helped with her agility and movement on the court." Watching her dispose of Dominika Cibulkova yesterday you could see the benefits. A girl whose game has always been based on aggression and thumping the ball as hard as possible has added elements of control, helped by being more nimble to get into the right position earlier to play her shots. That in turn has helped her timing, with the ability to use the power of an opponent's best efforts to return the ball with interest. At [6.0] in the market to be the Wimbledon Winner she represents outstanding value if you want to avoid the safe bet of backing Serena Williams who is [2.06] favourite. 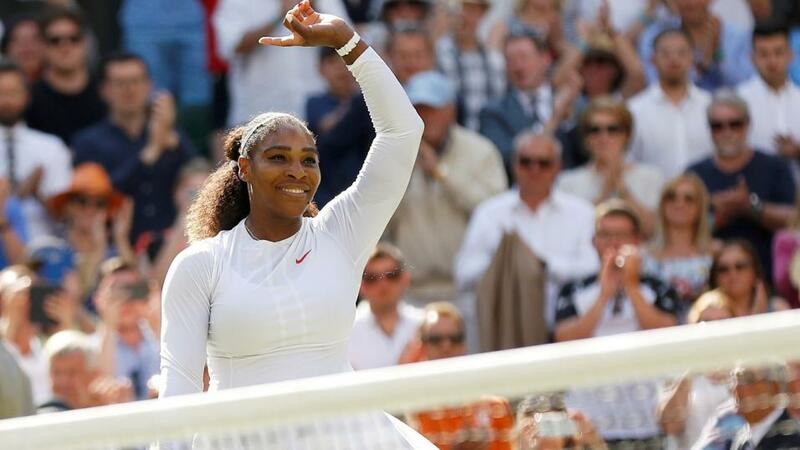 After coming back from a set down to brush past Italian Camila Giorgi, I agree it's hard to look beyond Serena collecting her eighth Wimbledon title in all - and 24th Grand Slam. She's [1.32] to win her semi-final against Julia Goerges, and all the power and sheer physical will that has made her pretty much unbeatable at SW19 for so long is still there. It really would be a great achievement for the woman who has dominated the sport for nearly two decades, as well as a slap in the face for the WTA's shameful refusal to provide any sort of proper maternity rights that would protect the seeding for players who take time off to become a mum. But in a year when all the other top seeds have been wiped out, Ostapenko is emerging as a genuine threat. Fearless in her style and attitude, she also has the confidence booster of having beaten Serena in an exhibition in Abu Dhabi earlier this year. And as 2014 Junior Wimbledon champion, the grass courts should hold no fears. You might say she's ready to waltz off with the title!